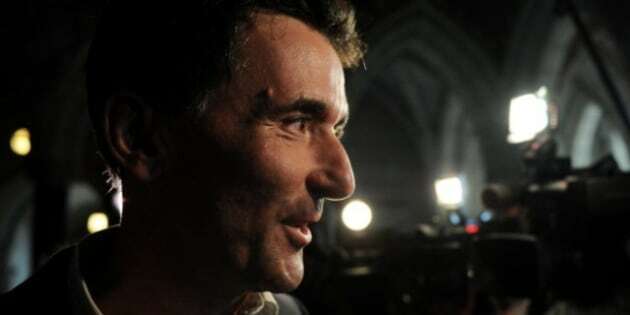 OTTAWA - NDP leadership hopeful Paul Dewar wants the federal government to give an additional $500 million annually to hardpressed municipalities. The funding — equivalent to another one cent per litre of the federal gas tax — would be devoted to municipal infrastructure. The proposal is part of an urban strategy Dewar is touting. He's also proposing to give municipalities a seat at the table whenever federal and provincial governments are negotiating matters that directly effect urban centres. His objective is to establish a "mature" federal-municipal relationship and provide cities with predictable, stable, permanent funding. Dewar says the needs of cities have been neglected for decades, even though 80 per cent of Canadians live in them. "Under (Prime Minister Stephen) Harper, cities face piecemeal funding for infrastructure and zero long-term commitment for key services like operating public transit, affordable housing and child care," Dewar said Monday. "Canadians need to know that they can count on their federal government to work hand in hand with cities." Municipalities collect just eight cents of every tax dollar paid in Canada yet must find the cash to build costly roads, bridges, water and sewer systems and other basic infrastructure. Dewar noted they're also taking on increasing responsibility for social services, immigrant settlement and law enforcement. Developing an urban strategy is "an issue that we can see the most bang for the buck and an issue that people can relate to," Dewar said in an interview. "I think it's something that as a party we have to push for more engagement in cities." Under Dewar's urban strategy, federal income support programs, such as Employment Insurance and the Canada Pension Plan, would be extended to cover what he calls "urban workers" — freelance, part-time, self-employed and contract workers. He's also promising to develop, in partnership with provinces and municipalities, a national housing strategy, a long-term infrastructure investment strategy and a national transit strategy. Dewar said he'd also fund a national child care program and invest in renewable energy for urban areas. Other than expanding the gas tax fund, he did not put a price tag on his other proposed initiatives. The gas tax fund was set up in 2005, with $5 billion over five years. In its last budget, the Harper government agreed to make the fund permanent, dispensing $2 billion per year. Dewar said his approach "is not just about throwing money when there's a crisis to municipalities and cities; it's about having a mature relationship." Municipalities are creatures of provincial governments. There has been periodic interest in the past in recognizing them as a third order of government in the Constitution. But Dewar said symbolic constitutional recognition wouldn't necessarily ensure money would flow to municipalities. "It would hold back progress," he said. "It's a race against time right now, when you look at all the needs of cities in the areas of transportation, housing, infrastructure, the economy and supporting workers in urban settings and focusing on process would be regressive at this point."